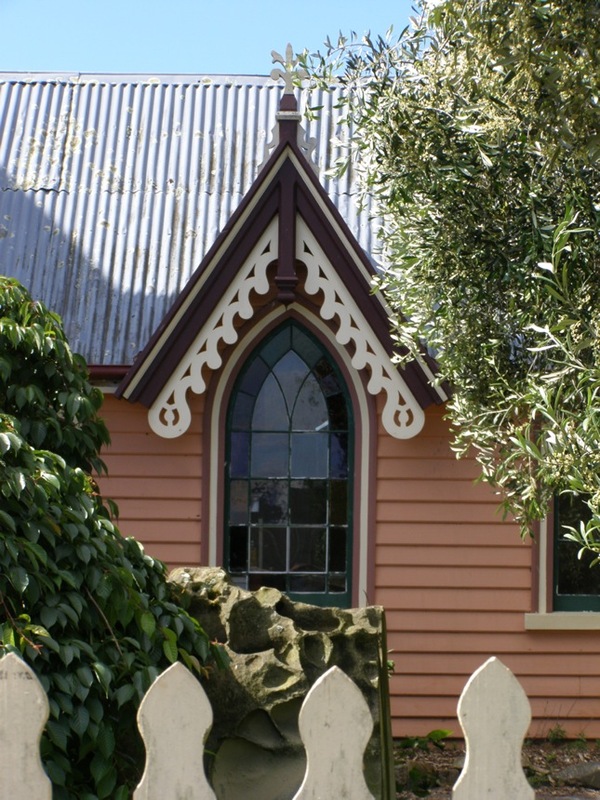 One of three photographs of a house in East Devonport built in the Gothic Revival architectural style. Gothic features of the house include the arched windows and steeped pitch of the roof. This photograph shows one of the gothic-style windows, which is accentuated by the roofline and surrounding decoration. Gothic architecture was the dominant style in much of Europe from the twelfth to sixteenth centuries. For Jack climbing a beanstalk see other entry. “Jack and the Beanstalk house window, East Devonport ,” Medievalism in Australian Cultural Memory, accessed April 25, 2019, http://ausmed.arts.uwa.edu.au/items/show/785.